Posts Tagged "tax free shopping"
Families across the country are taking a hit to the pocketbook with back to school shopping. For families in Delaware, though, the spending spree is a bit more enjoyable because there is no sales tax. Delaware is home to most of the country’s large corporations, netting it enough in corporate income tax that the state can give shoppers a free pass on sales tax, which is especially helpful for school supplies and holiday sprees. 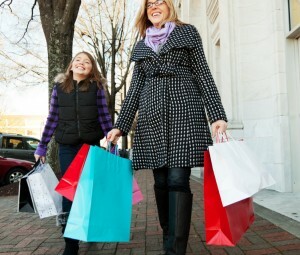 Delaware is one of only five states to offer shopping without sales tax. The savings is so attractive that Delaware’s retail outlets and malls attract shoppers from New Jersey, Pennsylvania, and beyond. Not surprising, the influx of out-of-state shoppers is greatest when people are planning for major shopping events like holiday gifts or supplies for the new school year. Delaware residents, however, reap the benefits year-round on even the smallest shopping or dining purchases, saving as much as 11.5% when compared to the state sales tax plus local surcharge in some other states. Where non-Delaware shoppers are at a larger disadvantage is vehicle purchases. For cars, SUVs, and other passenger vehicles, sales taxes are based on the purchaser’s state of residence; crossing the border will not lead to a savings but moving across the border will. There is no doubt that the tax structure in the First State is a major perk that works to the advantage of its residents. To take advantage of all that Delaware has to offer, consider a new home by Montchanin Builders. The walkable communities like Rockford Falls, The Cedars, Darley Green and Shipley Road Estates offer luxury living along with the best that Delaware has to offer. To explore our expertly-crafted move-in ready homes, contact our sales representative today for a tour. Forget Florida and Belize. The best place to spend your carefree retirement years just might be in Delaware. Long known as a “hidden gem” for retirees, Delaware offers incredible tax breaks for seniors, along with the best in leisurely living. If you’re looking for a place to call home, Montchanin Builders welcomes you to our masterfully designed communities in the Wilmington, DE area. Need a little more convincing? Take a look at the following financial incentives. You worked hard all of your life to save money for retirement. Now that retirement is imminent, it’s more important than ever to get the most bang for your buck. Financial experts have called Delaware one of the most tax-friendly states for retirees. If you’re over the age of 60 and are entitled to a pension, you can exclude $12,500 from your state income taxes. Under the age of 60? No problem; you can still exclude $2,000 from your pension. Perhaps even more impressive is the state’s policy on Social Security income. When you move to Delaware, all of your Social Security income will be excluded from state income taxes. This is particularly attractive for the many retirees who rely heavily on Social Security income to pay their living expenses. But the financial incentives don’t end there. If you’re 65 or older, Delaware will let you claim a tax credit for half of your school property taxes. The maximum is $500. 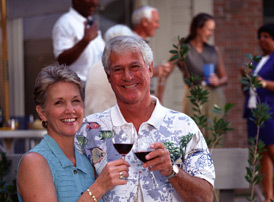 Many retirees enjoy holding down a part-time job to get out of the house now and then and allow for socialization. If this describes you, you can look forward to a moderate income tax rate with a low of 2.2 percent. Plus, you’ll get an additional tax break just for being over the age of 60. Enjoy shopping? You can do so without paying any state sales tax anywhere within Delaware. Concerned about the legacy you’ll leave behind? Living out your golden years in Delaware will likely save your beneficiaries big bucks on estate taxes. Executors do not even have to file an estate tax return in Delaware if the estate is less than $5.25 million. 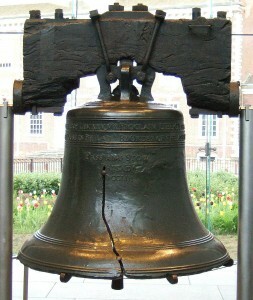 Another major benefit of choosing Delaware for your retirement is the affordability of real property. Montchanin Builders has long been known for building high-quality, luxurious homes at competitive price points. Our beautiful homes in Darley Green, The Cedars, Shipley Road, and the Town of Whitehall are move-in ready — with the option of custom upgrades. Enjoy the true spirit of community with your new neighbors. Tree-lined streets and immaculate landscaping go hand-in-hand with community gathering areas and nature trails. Plus, Montchanin communities are convenient to shops and businesses, cultural enrichment opportunities, and so much more. To learn more about our new homes in Delaware, call us today at 302.655.2600. 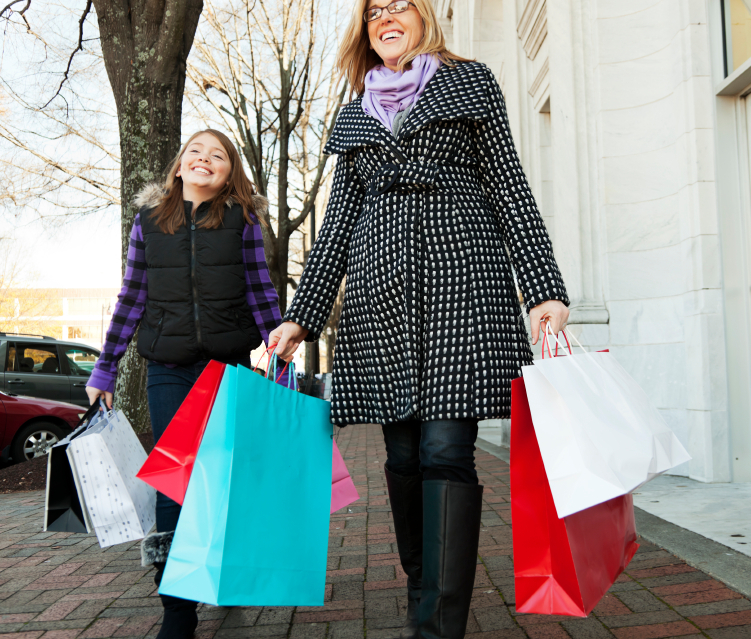 Imagine a girls or family getaway filled with tons of tax-free shopping at your favorite stores. It’s time to turn your dreams into reality by paying a visit to the greater Wilmington area, where ZERO sales tax equals tremendous savings. Buy much more for less when you shop in Delaware, home to high-end boutiques, trendy retail outlets, sprawling farmers markets and massive shopping malls, just minutes from downtown Wilmington. Black Friday is just around the corner – the perfect time to pick up those big ticket items you’ve been pining for all year. Here’s a guide to your weekend Wilmington, DE getaway for some serious retail therapy. Christiana Mall – The Apple store in the Christiana Mall sells more iPhones than any other outlet, and for good reason. If you’ve been hankering for the latest iPhone edition and want to save some cash on taxes, head to the state’s largest mall, which is conveniently situated halfway between Newark and Wilmington, DE. The Christiana Mall is ideally located for a weekend shopping trip, whether you live in New Jersey, Maryland, New York or Pennsylvania. Browse hotspots like Anthropologie, Brookstone, J. Crew, Kiehls, Pottery Barn, Macy’s, LUSH, Swarovski, Williams Sonoma and Urban Outfitters and take advantage of seasonal sales. Tanger Outlets Rehoboth Beach – Featuring more than 150 brand-name outlets, this is the place to go for some amazing Black Friday deals. Check their website for extra savings coupons before heading over to 36470 Seaside Outlet Drive. Discover super deep discounts on designers you love like Tommy Hilfiger, BCBG, Guess and Nine West or find great deals on children’s wear at OshKosh B’Gosh. Artisanal spirits & wines – Explore charming family-operated vineyards for tastings and tax-free purchases along the Delaware Beer, Wine & Spirits Trail that features four local wineries and a handful of brewpubs and artisanal distilleries. Boasting gorgeous countryside and rustic charm, Pizzadili Vineyard and Winery and Harvest Ridge are sublime settings for a wine aficionado’s weekend retreat. Museum Shopping – The region’s numerous museums are an excellent bet for one-of-kind gifts. The Winterthur Museum store is brimming with unique coffee table books, garden accessories and home decor items, and the Delaware Art Museum features a first-rate store for quirky finds including vases, jewelry, retro cards, artsy posters and other treasures. A weekend shopping escape to Delaware gives you the opportunity to experience the fine dining, beautiful scenery, family-centric attractions and vibrant culture of the state – just some of the compelling reasons to call Wilmington, DE home. The master-planned community of Darley Green is a collection of luxurious Delaware condos and townhomes in the Claymont Renaissance District – less than five minutes from Wilmington. Whether you’re looking for a 2-bedroom or a 3-bedroom move-in ready home, rest assured you’ll find a floorplan, features and amenities that perfectly suit your needs and desires. To learn more about financial assistance for first-time homebuyers, or to schedule a tour, please call 302.472.7200 to speak with a Montchanin Builders sales representative.